Coming Soon – One of Summer’s Top Lake Events! 2017 Northwest Wisconsin Lakes Conference set for June 16 in Hayward! Be sure to mark your calendars for the upcoming 2017 Northwest Wisconsin Lakes Conference, which returns this year in Hayward and will be held on Friday, June 16 at the Hayward High School. You won’t want to miss it! This very popular regional event has evolved into one of the state’s premier lake conferences. The all day program will again be a great opportunity for lake enthusiasts, local government officials and others interested in enjoying and protecting our lakes to take in a number of educational presentations, visit many informative exhibits and network with fellow conference attendees. For more information on the conference program and speakers, contact MaryJo Gingras at (715) 682-1392 or mgingras@northland.edu. The conference’s co-keynote speakers are Aaron Thompson and Nels Paulson, who will present on the topic, “Change Society, Change Individuals, Change Water Quality: Why We Need to Focus on Community and Not Individual Changes.” Their presentation will discuss the community conditions needed to ensure healthy watersheds and lakes. They will describe how people can work together to take the necessary steps to minimize land uses that threaten water quality. Aaron and Nels will share an approach that focuses on the importance of the community in different watersheds to protect their lakes and maintain clean water. 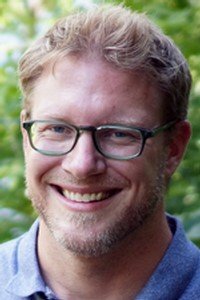 Aaron Thompson is an Assistant Professor of Natural Resource Planning at the University of Wisconsin-Stevens Point and a Specialist with the Center for Land Use Education. His teaching and research focus on using social data to inform collaborative action to address issues facing the rural landscape, including: farmland preservation, habitat connectivity and degradation of ecological systems. 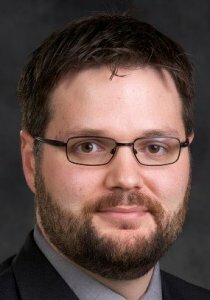 Nels Paulson is an Associate Professor of Sociology at the University of Wisconsin-Stout. His research focuses on the environment and civil society. His publications have appeared in Conservation and Society, Nature and Culture and Environmental Values, among others. He is currently doing research on cyanobacteria and the place of civil society in mitigating non-point source pollution. Twelve different breakout sessions will be featured during the conference covering a wide variety of lake-related topics and issues, including: lake surveys, dragonfly larvae as a mercury indicator, carp control and wild rice management, lake science limnology, measuring the value of lakes, how the DNR uses citizen volunteer lake monitoring data, lake restoration success stories, Eurasian water milfoil long-term trends, woody habitat science, successful lake management projects, zebra mussels and how wildlife use shoreland buffers. Numerous exhibitors, including lake and natural resource-related nonprofit organizations as well as private businesses, which provide products and services for lakes, will have displays at the conference.